Winter is upon us here in the midwest. Snow is coming and the colder temperatures along with it. While many dread winter, I love winter above all other seasons. For me winter means layering up in snuggly clothing, warming my feet and hands by the fireplace, seeing holiday lights twinkling through the snowfall….and of course, snowboarding. My family plays together in the winter in ways we don’t the rest of the year. We ride in the snow and bond over tough mogul passes, laugh with each other during epic wipeouts, and help one another through difficult passes in the trees. As ‘snowboard season,’ as we call it, approaches, it’s easy to forget about self care. I pick up an extra job, continue to work hard, and play harder than I do any other time of the year. This year I’m making a point of meeting my needs. I’m going to take time to ride and work on skills I want to work on…not just the ones I need to work on. I will rest when I need to, remembering to feed not only mind and soul, but also my body. I’m going to #ElevateTheSeason. I snowboard to fuel my soul. I drink coffee to fuel my body. Until three years ago, I didn’t really understand or ‘get’ the love of coffee. I started out by drinking ‘foo-foo’ coffee as my friends called it – drinks loaded with sugar and flavorings. I essentially had a small bit of coffee product with my creamer and additives. As the years have passed, my tastebuds have grown up. As a type ll diabetic, I’ve made a commitment to being healthier. For me that means paying attention to what I eat and where the food I choose comes from, including the coffee I drink. I learned about adding butter and other things I wouldn’t normally add to coffee from a neighbor and had to seek more information. To be honest, I wasn’t sure I’d even like it. The thought of butter in my coffee seemed….wrong. But I tried it. I brewed whatever coffee I had in my cabinet, took a dollop of random, grocery store stick butter and a scoop of coconut oil and threw it in my blender. It was okay. I ended up adding honey. It couldn’t be what I’d be hearing about. I decided I needed to know more. Taking that need to know more, I started educating myself. I quickly determined “Bulletproof Coffee” was the thing I needed to understand. To begin my research, I looked up ‘ghee.’ I had no idea what it was although I’d seen it in stores and in the homes of multiple friends. It’s clarified butter and Bulletproof Ghee is this amazing, grass-fed, unsalted butter. Then I educated myself on Brain Octane Oil. What is this stuff? By definition Brain Octane Oil is a a purified form of medium-chain triglyceride (MCT) oil. There are these things called carbon tails on MCTs. Brain Octane Oil is a pure C-8 MCT. This means it is nearly odorless and tasteless, it can be quickly be converted to energy giving you a boost, and it helps burn fat. It’s one of the main ingredients to the perfect Bulletproof Coffee. Next up, coffee beans. I didn’t know anything about how high quality beans different from lower quality beans. Low toxin, high performance coffee beans are key to healthy coffee. Bulletproof Upgraded Coffee Beans are carefully grown, harvested, processed, and roasted to ensure the best possible quality. Lesser quality coffees may contain mycotoxins – damaging compounds created by molds which grow on coffee beans (and other things as well). I searched mycotoxins (you should too!) and now that I’m aware of the difference in coffee beans, I’ll be paying attention! Anxiously, I started checking the mail for my shipment of coffee. My Bulletproof Coffee arrived. And grass-fed ghee (aka the clarified butter I mentioned above). And Brain Octane Oil. I made the coffee per the directions, added the appropriate amounts of Bulletproof Ghee and Brain Octane Oil and put it in my blender. No sugar, honey, or cream. Just those three ingredients. It frothed up and was gorgeous looking – all creamy and latte like. It tasted amazing. My husband wanted to try it. He took a drink and walked away with my coffee! I had to make more …. for each of us. I’ve taken to waking up each morning thinking about my coffee. Today I added a high quality cinnamon and it was just lovely. I faced a somewhat dark, gloomy morning with a smile on my face and happiness in my heart. The snow hasn’t arrived just yet, but it will come. This morning I was able to see the beauty in the clouds and rain, relax and simply enjoy my coffee while my family started their day. I’m looking forward to taking my Bulletproof Coffee, ghee, and Brain Octane Oil with me to the mountains next month. I can’t wait to wake up, see the amazing sunrise, and sip my coffee while preparing to snowboard in an breath-taking place. I will do my utmost to Elevate My Season and Bulletproof Coffee will help me along the way. Below are links for you to use. Check them out. Read more about Bulletproof Coffee. Educate yourself and jump in. There’s a starter pack that is a great way to try it all out. It would make a great gift for someone special in your life! Or #elevatetheseason and buy it for yourself! Find Bulletproof Coffee on the web, Facebook, Instagram, and Twitter! This is a sponsored post. I received Bulletproof Coffee, Ghee, and Brain Octane at no cost. Today’s post is a writing challenge. This is how it works: participating bloggers picked 4 – 6 words or short phrases for someone else to craft into a post. All words must be used at least once and all the posts will be unique as each writer has received their own set of words. That’s the challenge, here’s a fun twist; no one who’s participating knows who got their words and in what direction the writer will take them. Until now. At the end of this post you’ll find links to the other blogs featuring this challenge. Check them all out, see what words they got and how they used them. I sit with my Keurig in pieces. 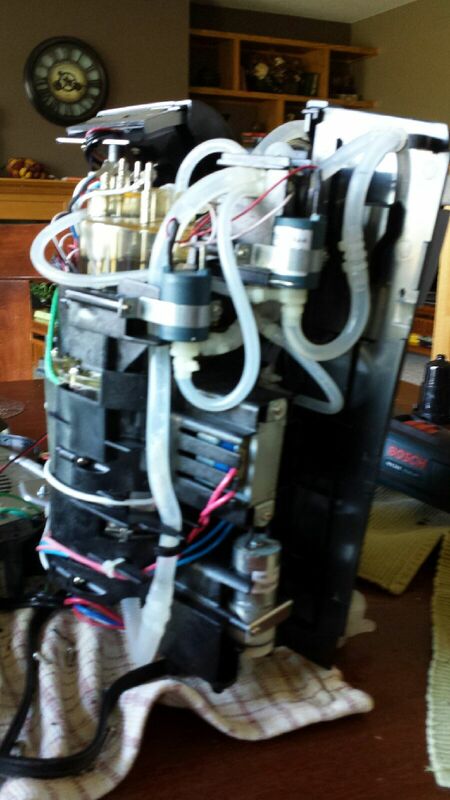 The insides of the machine look like a piece of medical equipment. As THEY SHOULD. CAFFEINE. Caffeine. My sweet nectar of life. And the Keurig is holding my coffee hostage and I’m starting to loose my mind. How? Why? What am I going to do? My logical brain says you can drive to the nearest Star-ibou (we have a couple of chains up here – Starbucks, Caribou, Dunn Bros, plus all the AMAZING local places I love). My emotional brain says, “I WANT MY COFFEE NOW!” I’m out of Diet Coke too. And Diet Pepsi. And Diet Dew. This is a caffeine emergency. I don’t physically need it as in I’m not addicted to it. But I’m mentally addicted to my routine. And my routine has been altered. As uber type A this is a problem. Until the caffeine requirement of the morning is met, I’m going to have a problem. I can’t sit at my computer, write amazing, funny, and witty things until I have my beverage. I load up into my car. Even that routine is messed up. Dr. Evil took my truck to the airport for the week. It’s so much cheaper to drive his go-go compact car and with him gone the remaining family will fit inside. (It only seats five…there are six of us.) As fall has arrived all things Pumpkin Spiced Flavored Scented Seeded Hinted have arrived. As I sit at the drive through waiting for my NON-pumpkin flavored coffee I envision summer. Kiwi scented candles decorating the counter of the coffee shop, “Jump Right In” by the Zac Brown Band playing on the radio. I wonder if they’ve tried kiwi flavored coffee? Would that even work? Would any fruit work? Strawberry, orange, lemon? Something to ponder…. My chocolate nirvana is ready. It’s basically hot cocoa with a bit of coffee added. See it’s more about the process than the actual caffeine. It’s like heartburn relief to my brain. One drink and I am soothed. Time to head home and get to work. Discarded clothing caked in football mud, bling from preteen jeans, dog food dishes and shoes. Burberry bags laying about?!?! I mean really – I understand backpacks laying about – I don’t like it but I get it. But do you know how much a BURBERRY BAG COSTS?!?!?! WHY IS IT ON THE FLOOR!!!!?!?! There are more shoes than any one household should have. They are disheveled and everywhere. Not in orderly pairs as I like them. If a sonic boom passed through this room it would look better – maybe the boom would magically rearrange, clean and organize my mud/laundry room. Who does that by the way? Puts a mud room and a laundry room together. As an entrance? It was fine when we moved in and there only four of us – two of us being under the age of 5. Now with six of us and four of the six being adult sized…..oh my. Maybe the sonic boom could enlarge the room? I mean if we’re going big, why not go SONIC BOOM big? 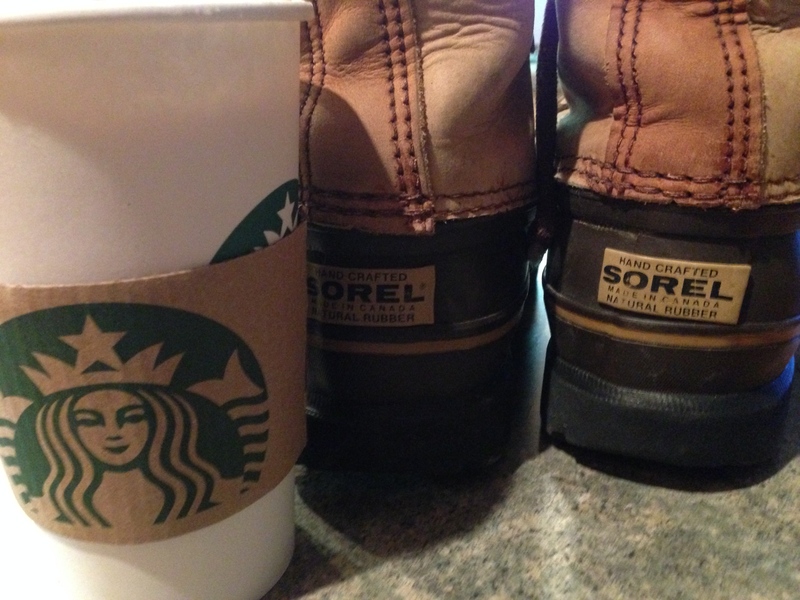 EJ out – to once again seek the caffeine for an altered morning routine. My AWESOME words were submitted by The Momisodes. If you’re not reading her, you missing out. Do it – really – go check her out – follow her blog and read her on Facebook and Twitter. She’s one of my favorites. I feel pretty honored to have received her words! Other amazing bloggers to read and follow – they participated in the “Use Your Words” post today – go see who got my words!!! I don’t like coffee. I really really really don’t like coffee. At all. I think it’s gross. I think it smells bad and looks gross. Cleaning the nasty coffee ground out of the pot when Dr. Evil makes coffee and doesn’t get the filter in properly is awful. When I drink coffee, what I drink is not coffee. It’s intensely flavored fake creamer with a splash of coffee. Have you ever noticed how flavored fake creamer is non-dairy? Or how is sizzles when you add it to your coffee? You can’t tell me that any better than the awful diet soda I passionately love. Coffee causes me…well…issues. About 10 minutes after I drink it. Ya’ know what I mean, don’t ya? Don’t Judge Me. Or use the bathroom after me. I’ve tried. I’ve truly tried to fit in and be like the cool kids and like, even enjoy, coffee. But I don’t. I grimace. I let it get cold. I stealthily dump it in the sink. I like Diet Coke. I like Diet Dew. I like Diet Pepsi. And yes, I’m aware of the bad stuff in soda. You know what I do love? No honey. No lemon. Just hot. Plain. Earl Grey tea. And I won’t judge you. Evah. EJ out – to shower after running and enjoying – yes – tea. But with a twist – today I had an Earl Grey Tea Latte courtesy of a good friend. Thanks J!!! Please take a minute and vote for me at Top Mommy Blogs. Just click on the juggling lady up there in the corner. I’ll bet she’s had her coffee…or tea…. Get Up and Go – Get Back Here! Evil Joy here with a post on motivation. And needing it to return to me. At all costs. At any cost. SO…..it’s 2013. We rang in the New Year with friends and family. It was great. Except it wasn’t. That’s another story waiting to be told. Now…the spawn are back to school. Except the one that was sick. But wasn’t. Just over tired. So now….finally we are having a ‘normal’ day. Except I’m not. Not sure why. Just not. Motivation – get your arse over here and make it plant in my brain. I need to find you and keep you and hug you and hold you tight. 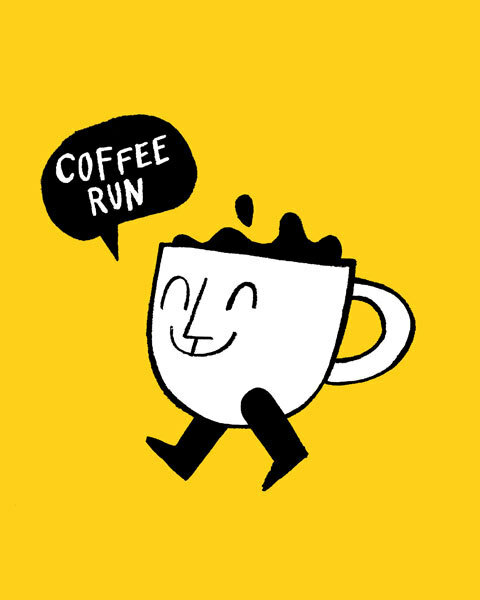 EJ out – to find coffee – which will hopefully contain a smidgen of motivation. Hopefully this motivated you to vote for me at TMB. Click on the juggling lady in the upper right. That’s all it takes. Thanks! Evil Joy here with a post on caffeine addiction, the desire to like coffee, and the lack of said desire. I, in my Evil Wisdom, have decided I drink entirely too much soda. You have no idea….loads and loads. Therefore, I declared soda off limits. However, the reason I drink soda in the first place is I have an unhealthy love of caffeine. I LOVE ME SOME CAFFEINE. Therefore, I must drink coffee. I like tea a lot, but the kind I have is decaf and I refuse to buy more until I drink what i have…. So….drinking coffee, yes. Liking coffee, not yet. Praying to like coffee – you bet your arse. So send me some energetic vibes today as I will make it 24 hours with no soda. I only made it until 4pm yesterday. Today…I’m doing this thing. EJ out – to doctor up my coffee – half and half and stevia it is. Seeing as I’m struggling with this coffee thing already – you should take pity on me and vote for me by clicking on the TopMommy Blogs Juggling Lady – I’m going to change her up today to make it easier to see and figure out what to click. Thanks!!! Back To Our Regularly Scheduled Post…. Evil Joy here with a post on Evil Insomnia – and its Evil Counterpart – Evil Infomercials. So I went to Eldest Spawn’s football game on Friday night. (They won!! First win of the season.) It was chilly. Nature called. There was no one there to answer so I drove a mile down the road to the nearest gas station. And decided I wanted a cup of coffee. Now..I don’t drink coffee…I just wanted to hold on to it. But lo and behold I decided to get the cappuccino stuff that masquerades as coffee. And being the Evil Awesome Wife I am to Dr. Evil, I got him a cup of “real” coffee as he digs the nasty stuff. Well, holding onto a cup of something to drink got to me. I have this issue with liquids. Have them near me, I will drink them. Quickly. Multiple cups of whatever. This is why I don’t often drink liquor because I tend to drink it like I drink everything else – too much and too fast. 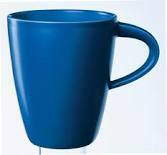 So I downed that 20 oz cup-o-masquerading coffee. And warmed up slightly. Finally – time to head home. Dr. Evil was leaving from the away game to catch a flight and a friend had all Female Spawn. Eldest Spawn had to ride the bus back to school. I was all alone and rocking on the way back to the middle school. Feeling pretty energized given it was the end of the day, we’d run 10 miles that morning, Dr. Evil was leaving town, and it was Friday. Didn’t think too much of it. It was pretty nice out and I was happy to listen to what I wanted on the radio with the Evil Commentary of various spawn. Home. Shopping. Home again. Spawn to bed. Cleaned the house. Put away laundry. Tried to go to bed. Nope. Nada. Not gonna happen. Okay…watched tv for a while. Normally I go to sleep with the tv on for noise – especially when Dr. Evil is on travel. So…tv on – boring show I’d seen before so I wouldn’t pay attention. Finally…sleep arrived sometime after 11:30pm. After attempting to read a book for a while, I started flipping channels. I’m sure I saw more. I don’t watch them but was simply so amazed how many infomercials were on I went to the channel guide channel and started counting. After 17 I gave up. People must actually buy all this crap stuff. Finally couldn’t take it anymore and flipped on NetFlix – Okay…movie. “Sliding Doors.” Seen it a million times. Love it. Should be able to zone out and go to sleep. By now it’s after 5am. I finally get some sleep sometime around 6:30 to 8. Then the phone starts ringing. Time to get moving. And consider what product I can create to make an infomercial out of? Whadda ya think? So note to self – no more fake coffee. No more real coffee. Not after 3pm – certainly not after 5pm. EJ out – to make some yummy soup on this chilly day. Better than coffee, right? Warm me up with some Evil Love and click on the Top Mommy Blogs icon on the upper right. Thanks!! !